.Ever since I was a kid, food and cooking have always been a huge part of my family. We grew everything — even our own pumpkins for Halloween. Now that I’m all grown up, not much has changed. My mom’s gardening wisdom continues to play a major role in my daily life. 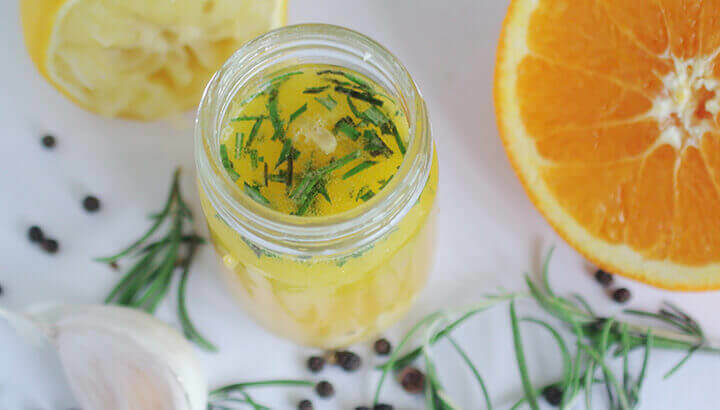 One of the easiest and healthiest ways to elevate the flavor profile of any dish is to utilize fresh herbs, spices, raw oils and citrus juices. I’m not much of a meat eater, but I do enjoy fish — especially salmon. Ocean sustainability is an issue that is near and dear to my heart, so I always pay attention to where my salmon comes from. Why should you care where your salmon comes from? I’ve always been fascinated by sharks. I actually began my writing career with a short ebook to educate others. Shark populations are in severe decline based on current fishing practices and shark finning. It’s alarming and heartbreaking. Yet, for many, it’s one of those issues that are out of sight, out of mind. Although how fish are caught is important to me (especially due to the amount of waste from long-line fishing), the very first thing I look for when sourcing salmon is whether or not it was farm-raised or wild caught. As you can imagine, wild salmon roam free, eating a more natural diet. This results in higher concentrations of omega-3 fatty acids. Although the fish are still exposed to PCBs in the environment, they are an optimal choice. Farm-raised salmon, on the other hand, are fed GMO food pellets. They are also placed in highly stressful situations and exposed to chemical cocktails that reduce their nutritional value. Not only are these farms inhumane, but they significantly threaten local ecosystems and coral reefs. They also increase the risk of disease. The production of farmed salmon has increased 40-fold over the past two decades, with numerous studies displaying potential adverse effects. After studying more than two metric tons of North American, South American and European salmon, researchers found that PCBs and environmental toxins are in fact higher in farm-raised fish, in comparison to their wild-caught counterparts. Published in The Journal of Nutrition, of the 14 toxins that researchers tested, 13 were significantly higher in farm-raised Atlantic salmon, in comparison to wild Pacific salmon. They found a higher correlation between toxicity and their chow. This means toxins are believed to be passed on through their feed, in addition to pesticides, growth hormones and antibiotics. It can be frightening to think about what’s lurking in our environment — and food for that matter. However, when sourcing wild-caught salmon, the benefits far outweigh the potential side effects. Salmon is a quality source of nutrition, offering high concentrations of omega-3 fatty acids, vitamin D, B-complex vitamins, choline, taurine, protein and more. If you’re bored of the same old baked salmon, why not get a little creative in the kitchen? This recipe will have you coming back for more. Serve it with some fresh vegetables, quinoa or spiced couscous and you have yourself a winning dish. There are plenty of possible combinations, however, I can’t seem to get enough of this rosemary-citrus glaze. With two large rosemary plants on my deck, I’m happily using it up before the Canadian chill sets in, covering our country with a big ol’ white blanket of snow. 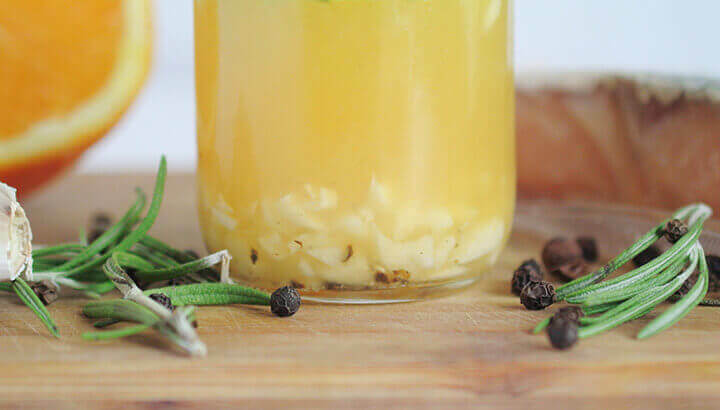 Not only will this recipe enhance the flavor, but it will also amp up the overall nutritional value. I often whip up a large batch and use this glaze on a salad the following day — just add more olive oil. Whether you’re baking, barbecuing, searing, roasting or poaching salmon, this fish is highly versatile. I generally cook mine in a pan but feel free to work your magic. 1. 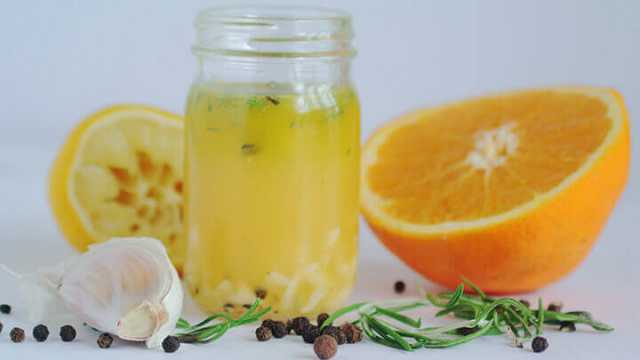 Within a small saucepan, add your citrus juices, garlic, honey and rosemary. Simmer for approximately 5 to 6 minutes before removing from the heat. Once fairly cool, add half a tablespoon of organic olive oil. 2. In a large heated skillet, add remaining olive oil (or any oil of your choice), placing the seasoned fillets skin side down. Use a metal spatula to firmly hold the salmon in place, or else it will likely curl up. Once the skin is crispy (generally after about 4 minutes of cooking), flip and cook for an additional 2 to 3 minutes. 3. Remember, you want the salmon to be cooked, but still delicate and flaky. You’ll be able to see the color change as it cooks through. Once you’re happy with the salmon, transfer to plates and spoon on your glaze. Enjoy! Hey Buddy!, I found this information for you: "Elevate Salmon With This Rosemary-Citrus Glaze Recipe". 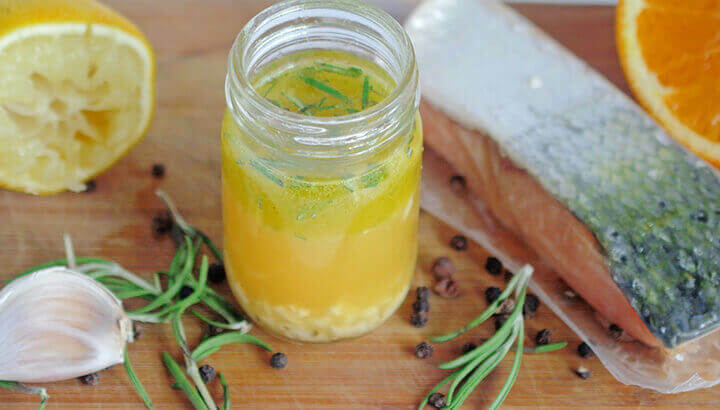 Here is the website link: https://www.thealternativedaily.com/salmon-recipe-with-rosemary-citrus-glaze/. Thank you.